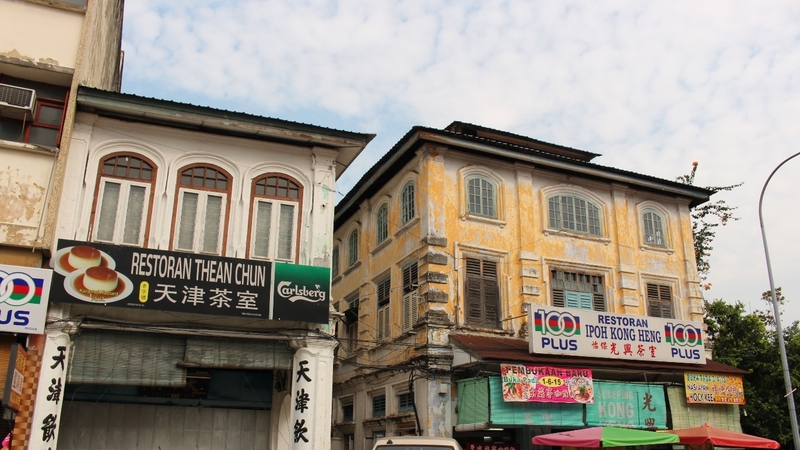 Ipoh, the charming capital of Perak, is home to a fantastic array of good food and places to eat. Many of these establishments have been around for generations and passed down to family members who continue the tradition of serving the kind of food everyone remembers and wants. However, not all places and stalls enjoy this fate; many are still manned by the older generation, as their children don’t want to take over. Unfortunately, this means that they won’t be around for long so you’d do well to check out these eateries while they're still going strong. In the morning, get your dim sum at Ming Court (31 Jalan Leong Sin Nam), a particular favourite that fills up with hungry diners. Plates of freshly steamed dumplings and fried items start rolling out as early as 6am, and keep coming at a steady pace until the early afternoon, or until everything sells out. If you manage to get a seat, don’t be overwhelmed by the sheer amount of variety and choices; we say go with the evergreen options and get items like har gao, siew mai and chee cheong fun. Be ready to share tables when it gets crowded. If the lines are too long, head across the street to the other dim sum favourite Foh San (51 Jalan Leong Sin Nam), a huge eatery spread over two floors and reliably good in taste and freshness. 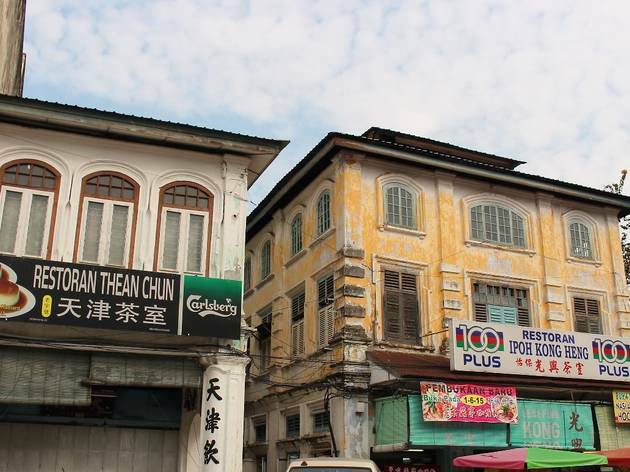 If you’ve still got room, head over to Nam Heong (2 Jalan Bandar Timah) for the famous Ipoh old town white coffee, as this is where the famous brand started before becoming the household name it is today. Pair your cup with delicate bite-sized egg tarts (only available on weekends), char siew soh (barbecue pork pastry) or even the chee cheong fun with green chilli. 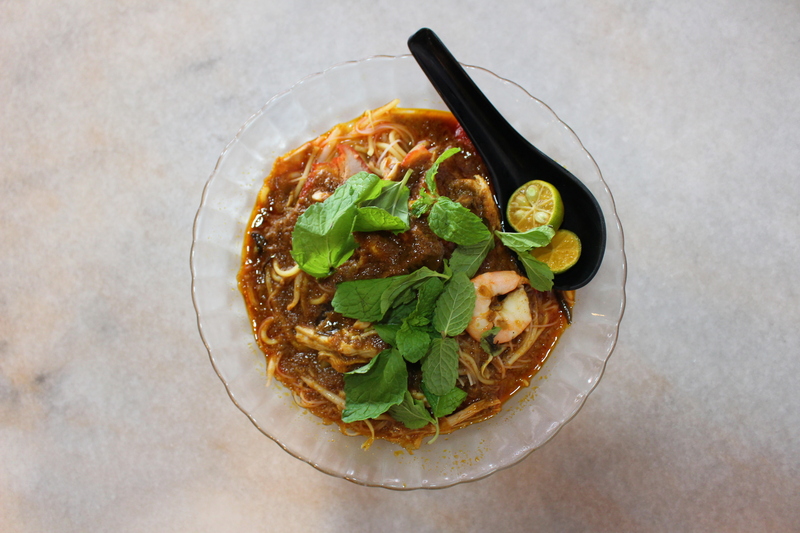 Or, you can head to local haunt Nam Chau (54 Jalan Bandar Timah), famed for dry curry mee. This vintage coffee shop is where you’ll find older Chinese uncles sipping Chinese tea (the coffee is pretty good too) whiling the time away. Dry curry mee may not be as popular as the soup version, but Nam Chau does an excellent version with noodles doused in thick curry gravy and served with prawns and shredded chicken. Squeeze lime juice over it and you’re good to go. For lunch, head to Yong Suan (2 Jalan Yang Kalsom, Taman Jubilee) and get the nasi kandar ayam merah, which is also known as Nasi Vanggey, named for the Tamil word ‘vanggey!’ – which means ‘come’ in English. The owners yell this to attract customers; not that they need any help bringing in the crowds. Or, more colloquially (and amusingly), this particular nasi kandar is also called nasi ganja, as the combination of fried chicken, salted egg, vegetables, sambal and a flood of curry is highly addictive – proven by the long queues that form along the corridor and customers willing to share tables with strangers just to eat here. If you want to pick your own sides, look out for a big tree. The famous yong tau foo stall is locally known as Dai Shu Geok (translated to Big Tree Foot, named for the huge tree out front; Jalan King, off Jalan Pasir Pinji) – just ask the locals for directions. There’s a huge array of yong tau foo to choose from – think vegetables and bean curd stuffed with fish paste, dumplings, turnip cake, fish balls and more. Order a side of noodles to complement your choices, and also check out the stall selling siew yuk in the same food court. 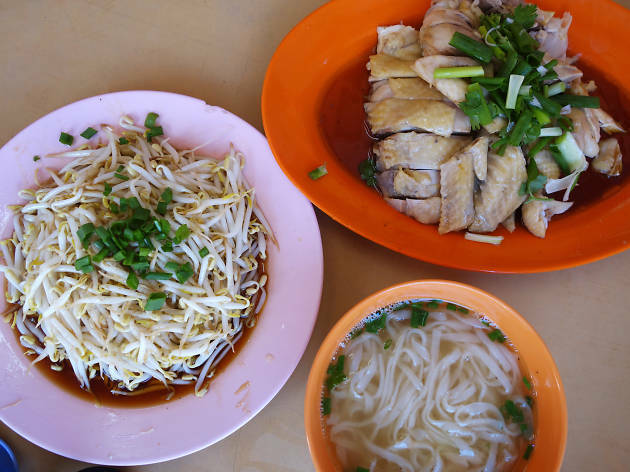 When in Ipoh, you have to eat the unofficial dish of the city – kai si sar hor fun is basically kuey teow noodles and steamed kampung chicken served in a clear flavourful broth. 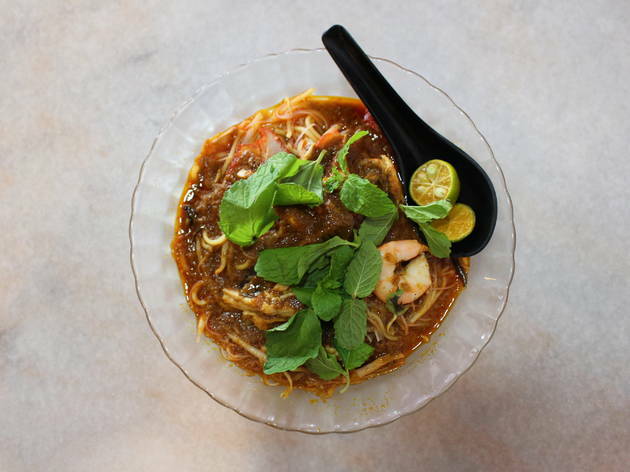 Thean Chun (also sometimes referred to as the House of Mirrors; 73 Jalan Bandar Timah) is where to go for this simple meal. The noodles here are silky smooth and the broth delicious enough to want to slurp it all down! You’d also do well to get the chee cheong fun, pork satay (you really can’t go wrong with skewers of juicy pork meat), and end your meal with the famous Ipoh caramel egg custard. Come tea time, stop by Funny Mountain Tau Fu Fah (49 Jalan Theatre, Taman Jubilee) for a refreshing snack of bean curd pudding and ice-cold soya bean. 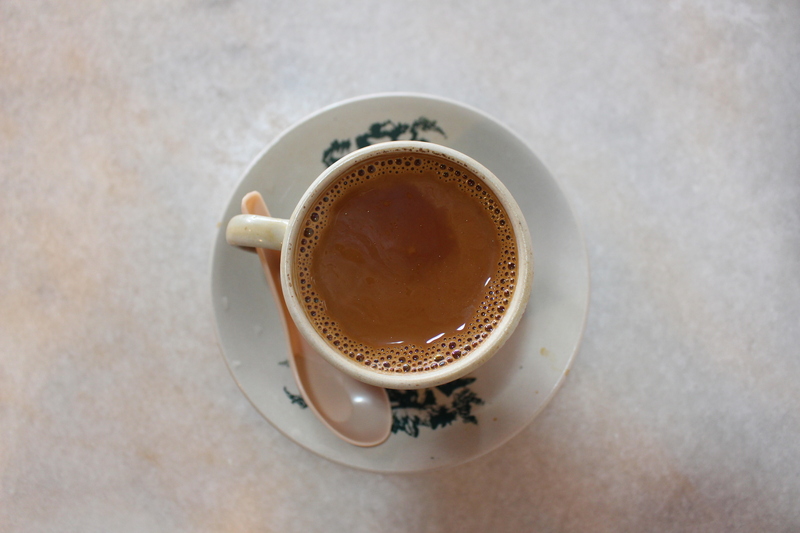 The lines form here for good reason – the tau fu fah is as silky as they come, and the soya bean is always good. If you don’t want to line up, make use of their ‘drive through’ services. Alternatively, Ding Feng (8 Jalan Panglima) also does a tempting Teochew version of tau fu fah with alternating layers of bean curd, raw sugar and homemade ginger syrup. 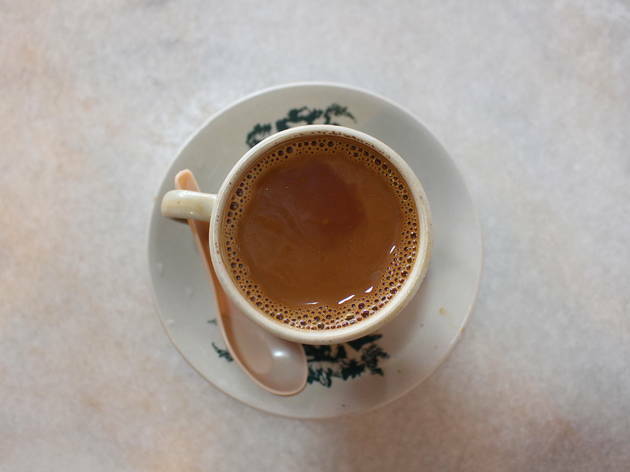 If you want coffee or tea, Sin Yoon Loong (15A Jalan Bandar Timah) pours an unparalleled cup. This corner coffee shop serves white coffee using beans roasted with palm oil margarine, which makes the coffee extra smooth and flavourful. Get yourself a cup and some old school steamed egg cake; be quick though, these sell out really fast. 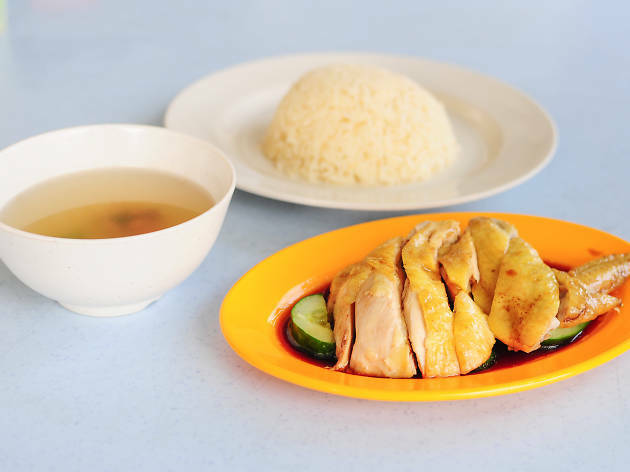 To wind down the night, go for the other famous dish of Ipoh – steamed chicken and bean sprouts, nga choy kai in Cantonese. 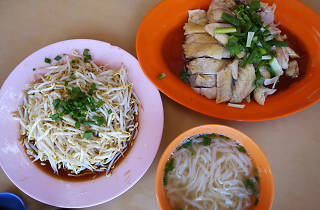 Skip the more famous names (like Lou Wong) and head to Cowan Street Ayam Tauge and Koitiau (44 Jalan Raja Ekram) instead. 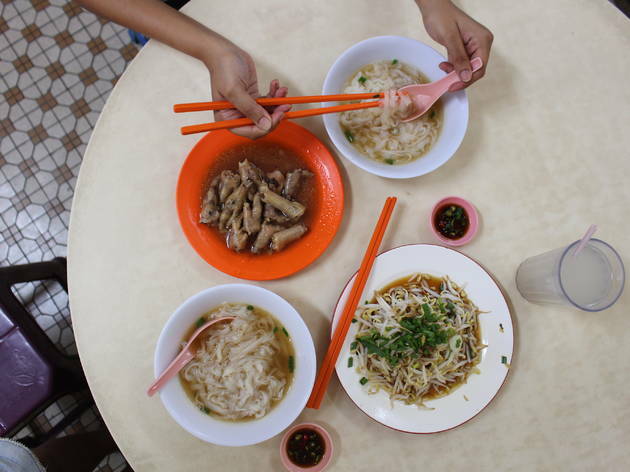 The chicken is tender and doused with sesame oil and a light soy sauce; the bean sprouts are fresh and crunchy and the plain kuey teow soup with silky noodles rounds up this typical local meal nicely. If you’re feeling adventurous, get a side of braised chicken feet. Tong Sui Kai (meaning Dessert Street; Jalan Sultan Ekram) is another popular dinner desitinaton for when you have a big group or can’t decide on what to eat. It’s basically a food street of various stalls selling all kinds of local treats. Plus, most of the stalls dish up consistently good food. Go for the beef noodles, kangkung squid rojak, and wash it down with shaved ice with your choice of fruit toppings. If you’re having a late dinner or supper, consider heading to Sun Tuck Kee (65 Jalan Yau Tet Shin). It’s a bustling Chinese restaurant that serves typical rice and noodle dai chow dishes – dishes that are cooked in a big wok (hence the name ‘dai chow’ translating to ‘big fry’). Try the braised noodels, although you won’t go wrong with ordering anything here. However, the two items that stand out are the yut kong hor ('moon on top of noodles’ – so named for the raw egg that's placed on a bed of fried noodles) and the baby octopus. We're sure that after a weekend exploring and indulging in all the Ipoh food scene has to offer, you'll be back for more! 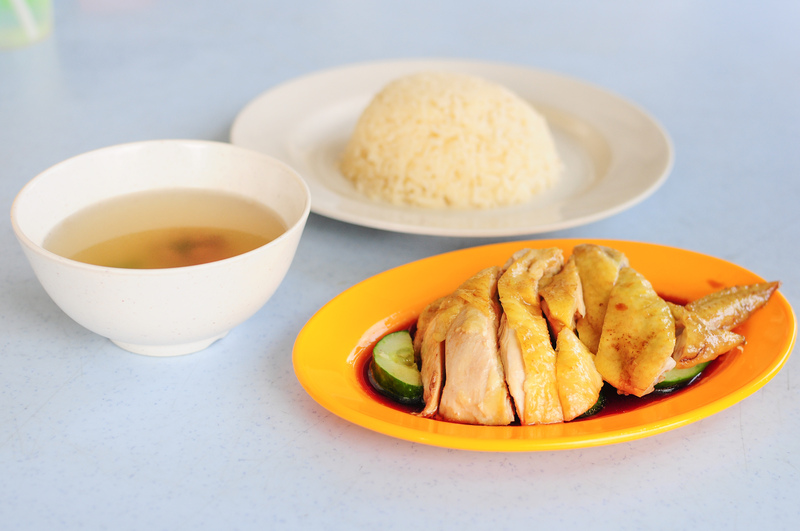 Hungry for more chicken rice?